Tooth Whitening – How do I get whiter, brighter teeth? It’s hard these days to cut through the social media hype, with so many different options and opinions out there it seems like every fashion blogger is a specialist on tooth whitening! I wanted to take some time to talk about what’s right, what will work and more importantly, what is safe for you. Why aren’t my teeth white? There are some things we need to understand about teeth before we can figure out how to whiten them. There are two types of discolorations in teeth and they are internal and external. Basically, external staining comes from things like coffee, teas, red wine etc. Internal discolorations are a little more complex and are related to the development of the teeth and age related changes. Is there a magic tooth paste I can use? 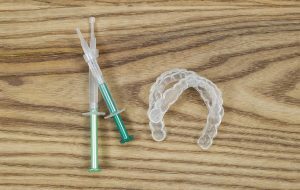 ‘Whitening’ tooth pastes are a simple and easy way you can get some relatively immediate results. The difference between these pastes and regular pastes are the abrasive particles in them. Usually they encorporate something like silica (aka. sand) or other products. 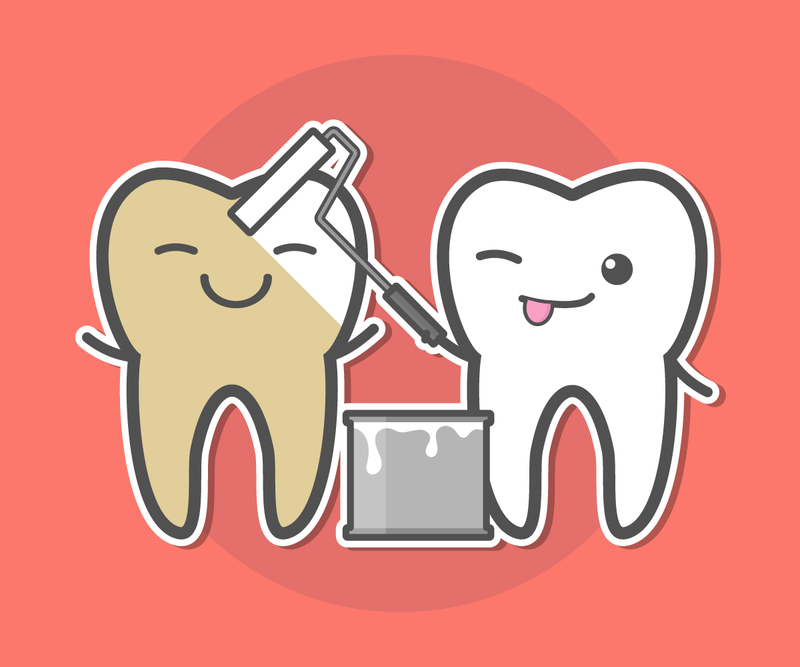 This is exactly how things like charcoal tooth pastes work – basically trying to scrub stains with sand paper! As you can imagine, if overused these products probably aren’t the best for our teeth as we can see enamel wear from heavy brushing – so be careful. If you’re thinking of using these make sure you have a soft brush and don’t brush half an hour after eating or drinking anything acidic like juice/soft drink. What about those mouth guard looking things that I saw on Instagram? 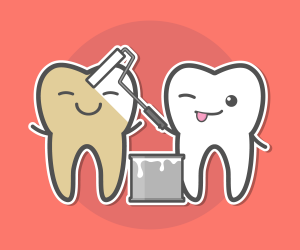 Products that will help whiten internal stains need to contain hydrogen or carbamide peroxide. If you’re wondering what these are – they are both bleach products and carbamide turns into hydrogen peroxide as it works… Basically the same thing. Both of these work equally as well, it’s the concentration that matters. Online or over the counter strips/gels/mouth guards etc will generally use these peroxides, however I would be wary of products claiming to ‘whiten’ teeth without peroxides. The concentrations and risk of hurting yourself are usually low, but results are often also limited – especially with all the effort involved in daily and often prolonged use. So what do dentists use to whiten their teeth? At Tooth Dental, our most efficient option is using the ZOOM! in chair system with a high concentration hydrogen peroxide gel. This process involves us carefully protecting your gums and skin while carefully whitening your teeth. You can have a whiter, brighter smile in just over one hour. Do you have anything I can use at home? We sure do. We custom make whitening trays to fit our patients and then carefully go through how they are used. We recommend using our trays initially for 15 minutes* per day for 5-7 days. Once you have achieved the results you are after you can save your trays to top up later. Dr Alex and the team at Tooth Dental. What is Temporomandibular Disorder (TMD)? Which dental treatments are safe when you’re pregnant?